Attentions turn away from the league this evening as Alfreton Town head to local rivals Matlock Town in the Derbyshire Senior Cup semi final, kick off is 7.45pm. After another disappointing result at the weekend which saw a 24 minute delay in the first half due to the linesman pulling up injured, the Reds squandered a 2-0 lead to lose 3-2 with all three Curzon goals coming in the second half. Reece Styche opened the scoring for us after seven minutes only to be sent off for dissent with just 18 played. After the injury to the linesman, our kit lady Pam Leaning took control of running the line on the far side and did a fantastic job to ensure the game wasn't abandoned. Josh Wilde would extend our lead with a chipped finish just four minutes after the game restarted. But the second half showed a different Alfreton with Curzon scoring two in two minutes through crosses into the box, the comeback was complete on 82 with another cross which lead to a header being powered past Sam Ramsbottom. It was the second 3-2 loss in a row for us after the home defeat to York the Saturday prior and the Reds are in desperate need of being able to see games out as well as finishing games off, with even a 2-0 lead being too weak for Alfreton to hold on to. A return to winning ways is a must tonight with a difficult test expected from our Evo-Stik Premier Division local rivals, with league leaders Chorley to come on Saturday, the Reds will be looking to put right the wrongs of Saturday and at least head into the fixture with the Magpies on the back of a much needed win. We head into tonight's derby with just one win (Kidderminster 0-1) in our last eight games, we'll be aiming to avoid a third defeat in a row, aswell as a fourth defeat in five. Away form has seen us lose just twice in our last six trips on the road. Matlock currently sit in 9th place in the Evo-Stik Premier Division with 42 points from 30 games, 11 points outside the play off positions. They are managed by Dave Frecklington and have several former Reds in their ranks including Craig Westcarr, Craig King, Ross Durrant and Lee Beevers; who all could potentially feature against us tonight. The Gladiators current playing record stands at: P30, W12, D6, L12. Matlock's last outing was a 2-1 win at Hyde United on Saturday, their first win of 2019 and since December 22nd. This run of form was a stark contrast to the Gladiators going ten league games unbeaten across October and November. 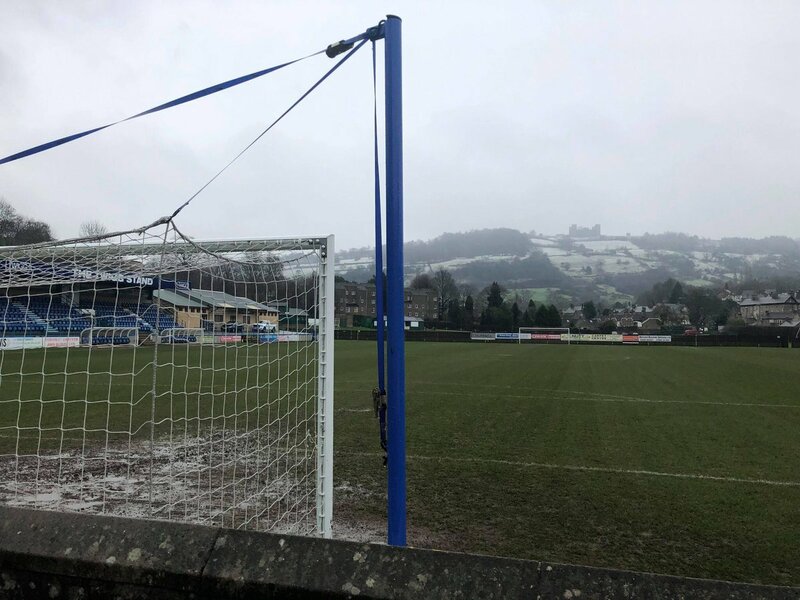 Matlock have won one of their last seven games and have won just once in their last four at home, including failing to find the net in their last three home games. The Proctor Cars Stadium, Causeway Lane, Matlock, Derbyshire, DE4 3AR. Adults £10, Concessions £6.50, Students (with valid card) £5, Children 10-18yrs £3, Under 10s FREE. DSC Third Round: Alfreton Town 1-0 Matlock Town (Tuesday 5th December 2017): Andre Johnson's goal after 62 minutes at the Impact Arena sealed passage into the quarter finals of the competition as the Reds earned a first home win and clean sheet since August.